Sake is an English term for the Japanese fermented rice drink which the Japanese call Nihonshu. It literally means Japanese alcohol. In Japan, however, sake has become the general word for all kinds of alcohol. Sake is the result of a double fermentation process using special, milled rice. Thus, the West has (incorrectly) termed it “rice wine” even if the fermentation process is more similar to beer than that of wine. In truth, sake is really not beer, wine or liquor. The alcohol ABV (alcohol by volume) of sake is much higher than that of wine and beer. Wine, in general, contains 9-16 % ABV, and beer usually contains 3-9% ABV. Sake, if undiluted, contains 18-20 % ABV, but sometimes when diluted with water before bottling, it can contain 15% ABV. Sake is estimated to be about 40-proof. Alcohol proof is another method of measuring the amount of ethanol alcohol in an alcoholic drink. In the United States, it is the double the ABV percentage and in the UK, it is computed as 1.75 times the ABV percentage. So, if Japanese sake is 40-proof in Japan, it is 80 in the US and it is 70-proof in the UK. Most countries, including Japan, as regulated by law, place the measurement of alcohol content their bottles as ABV. Sake is manufactured and fermented between November and March. Sake is classified depending on the seasons in which they were made, shipped and sold and most especially the brewing process that was made before being bottled. Some sakes are sold as soon as they are made, and some require a longer period of aging. It is imperative to learn about the basics of sake first. Seimaibuai (rice milling) is the key to excellent sake. The more the rice is milled, removing the fats, amino acids and proteins in the rice, the better-quality sake is made. Namazake is unpasteurized sake. Nama means “raw” or natural state. The sake did not go under the pasteurization process and therefore it is more perishable than pasteurized sake. It has a subtle, refreshing and soft flavor that goes well with food. Pasteurization kills off bacteria that may grow and kills the enzymes that hasten the aging of sake. 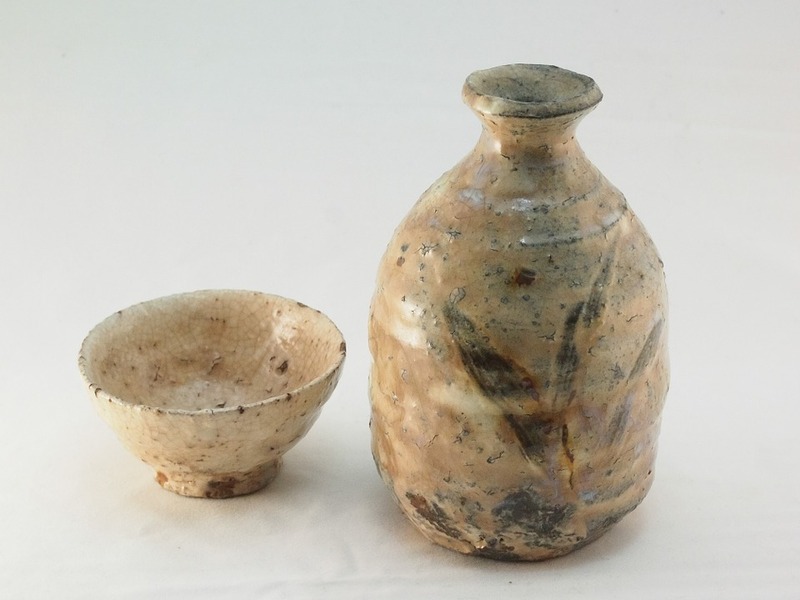 Therefore, unpasteurized sake must be kept very cold and consumed right after opening since it can turn bad easily. It needs to be kept for not more than 2 weeks after being opened. Junmai-shu is described as pure rice sake (no extra ethyl alcohol), as it is composed of only rice, water, and koji (the mold that turns rice starch into fermentable and non-fermentable sugars). Junmai-shu uses 30% milled rice or polished rice making this sake heavier and fuller in taste. Its acidity is also higher. Honjozo-shu, which has a small amount of ethyl alcohol, is usually termed brewers’ alcohol. The alcohol is added towards the end of production. Water is also added. 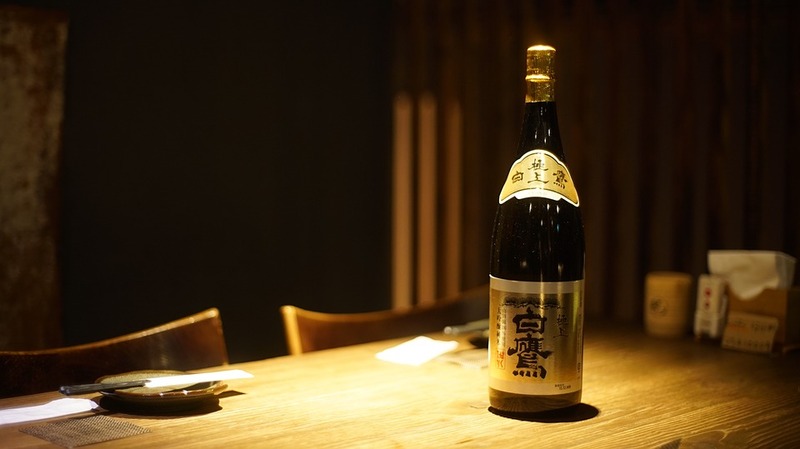 Honjozo-shu, similar to Junmai-shu, uses 30 % polished rice, but because of the addition of alcohol, the taste is lighter, a bit drier, and thus easier to drink. This type of sake is the choice to pick if you want to take your sake warm. Daiginjo-shu is sake that uses 50% polished rice and sometimes even up to 65% polished or milled rice. It is more labor intensive to make. Another type of sake - Nigori Sake - is unfiltered sake, meaning the grain solids are not removed after the fermentation process. This leaves a cloudy liquor that looks like milk. This sake is considered of very high quality and it is not exported in mass because it easily spoils and needs refrigeration. Its taste is sweeter than filtered sake and is often accompanied by spicy food or as an after – dinner liquor. Sake is not as strong as whiskey or vodka and it is not easy to get drunk on. To enjoy it, sip it gently like you would sip your wine or tea. Smell its aroma while holding the base of the cup or glass with both hands close to your face. Let the sip linger in your mouth. Sake is a restaurant staple alcoholic drink, so it’s good to have the proper manners to drink it. Sake is said to be best taken cold as it brings out more of the unique flavors the sake has. If you want it warm, just place the Tokkuri in boiling water and after, enjoy the drink. Make sure that you pour the sake in your companion’s cups and not in yours. Pouring sake in your own cup yourself is considered rude. While your glass of sake is poured by your companion, cup it with both hands at the base of the glass and hold it. Osaka is popular for its sake producing breweries. Learn the history of how sake is made and go get a tour in one of the following famous breweries in Osaka. Kitashoji Sake Brewery is situated near the Kansai International Airport in Izumisano. Their motto is to make excellent sake, one sip at a time. They are famous for their mild flavored sake which is called Shuu no Sato. Make reservations a week before to join the hour tour and experience the high standard of the chief brewer or “toji”. The tour is 500 JPY and includes snacks with sake tasting. Daimon Brewery is in Katano, the northeastern part of Osaka. They are famous for their sake called Rikyubai. Daimon’s sake is rich and dry and it strives to keep the traditional taste of sake. The hour-long tour consists of tasting the sake along with delicious food. The tour costs 1000 JPY and can be done in English. 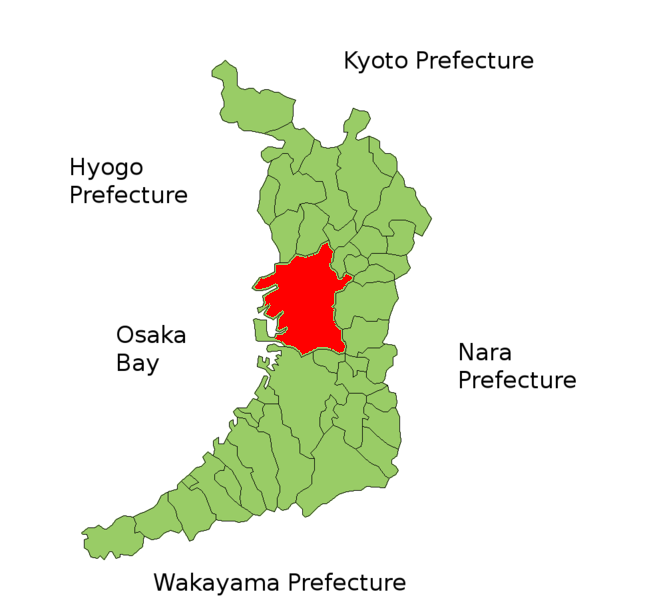 The brewery can be reached from the Kawachi-Iwafune Station by a 7-minute walk. Isaka Brewery is located in Kishiwada which is in the south of Osaka city. Inside the brewery store, you can find rare kinds of sakes like Miwafuku and Danjiri. Miwafuku is a type of sake which got its name from Miwa Shrine, the shrine of the Sake god. Danjiri is a type of rich and deep-tasting sake named after a famous, almost violent festival that takes place every September in Kishiwada, Osaka. There are tours every Thursdays, Fridays, and Saturdays from 1:00 PM- 4:00 PM. The tour is free when it comes to the entrance, but booking is needed to be done by a travel agent. The brewery is an hour away by bus and train from the Nankai Namba Station. Saijo Limited Partnership Brewery has an almost 300-year-old history. Established in 1718, this brewery is popular for its brand called Amanozake. It is a mixture of daiginjo sake and genshu sake. It has a deliciously fruity and mellow flavor. The tours are opened only during winter, from February through March. It opens every Saturday and costs 600 JPY souvenirs included. The brewery can be reached after a 5minute walk from Nankai Kawachi-Nagano Station. Yamano Brewery is just a small brewery but is very popular for its specialty, a Daiginjo Shizuko sake which won the gold prize given by the National Research Institute of Brewing. The excellent quality of this sake can be tasted in its wonderful flavor and glorious aroma. This special sake is made from natural, unrefined sake droplets (moromi). The tour is free, but reservations are preferred. Yamano Brewery is closed from April to October. It also closes on Saturdays, Sundays and public holidays. Take a 10-minute walk from Keihan Takanoshi Station to reach the brewery. Lastly, Shimada Shoten is a sake destination that gets a 5-star review from TripAdvisor as being one of the most interesting places to taste, select, purchase, and learn more about sake, as the person in charge is usually more than happy enough to attend to you. On the map, it’s found in in 3-5-1 Itachibori, Nishi-ku, Osaka 550-0012, Osaka Prefecture, and is open from 9 AM until 7 PM. Hana Sake Bar is fully stocked with all kinds of sake from all over Japan. If you are not familiar with sake, then this bar will offer you free sampling and tasting to initiate you into the interesting world of sake. If you are already familiar with sake, here you will find unique and hard to find kinds of sake to give a chance to enjoy sake even more. Shushi Yamabuki is a hidden place in an alley in Kitashinchi where you will find eating and drinking establishments that sell sake. The store owner has judiciously chosen 20 different varieties of sake from regions around Japan. The price will be different depending on the sake brand, but one glass can start around 700 JPY. They offer meals too and are open until 2:00 AM. It has become the perfect place to go to after a party. Does Osaka Have A Sake Festival? Though Osaka does have a large number of breweries as Kyoto also does (though not as popular in Tokyo), the area in Japan that is most known for holding sake festivals is Hiroshima. Osaka, however, does have a sake festival, which was started in 2012. It isn’t as popular as the sake festival in Hiroshima that gathers worldwide attention, but it is famous enough to be attended by the locals. The latest one was held on May 27, 2018, from 11 AM to 4 PM at the Osaka Amenity park located in Tenmabashi, Kita-ku. Admission was free, but a “drink ticket” cost 1,000 yen in exchange for a sake glass that you could use to sample the differently available sake. Ponshukan in Niigata Prefecture is not the only place that sells sake via vending machine. As a reply to that, there is Osaka International Airport, there’s also a sake vending machine that lets you have a shot of each sake for 100 yen – or under a dollar each. It’s called “Airport Fine Sake Storehouse”, and it has almost 30 different kinds of sake you can choose from to try. Simply put the cup near the machine’s spout, feed it 100 yen, and choose which sake you’d like to try. It’s as simple as that. If you’re not in a rush to catch a flight or head to your hotel, stop by. Airport Fine Sake Storehouse can be located at 2F North Terminal, Terminal Building, Osaka International Airport, 3-555 Hotarugaikenishi, Toyonaka, Osaka. It is open for business any day of the week, from 8 AM until 8 PM. Not everyone can go to Osaka, join these tours and have access to premium Japanese sake. 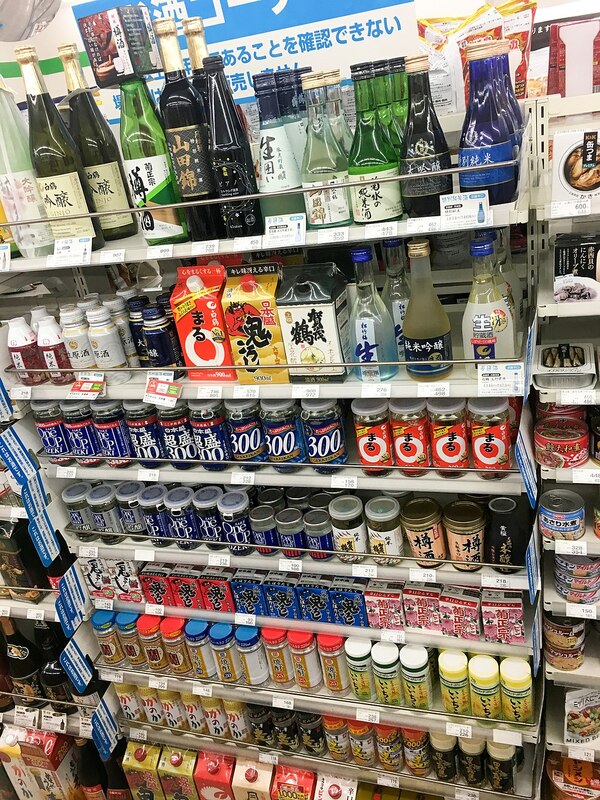 Your local liquor store may not have the exact sake you want (or any sake at all), which can be disappointing. The best way to get your hands on the exact bottle of sake you want is to shop for it online, as they clearly show their selections. Plus, online shopping brings the bottle straight to your house, ready to enjoy. You can try Sake Social, True Sake, or Tengu Sake for the U.K. for a great selection of sake, as well as information you can read about them. As for the right cup to drink it in, check out sakeware.net. You can also try American sake, with Arizona Sake LLC being a sample.